Did you know that you can use the computer to make Microsoft PowerPoint speech therapy activities that your child will love?? Check it out!! I use PowerPoint presentations a lot with my students and they love them! I set the PowerPoint presentation up first by filling out the slides ahead of time based on the topic I want to focus on. I make sure to leave room for us to add extra information that the child contributes. Then, during the session we customize the presentation by adding backgrounds and graphics and then we go through each slide and add input from the child as necessary. I also like to grab images from Google Image Search based on their responses. For example, if he says he loves basketball, add a picture of a basketball on there! Then, when we’re done, we print it out with one slide on each page and staple the pages together. Now the child has a book that he can take home to review the information or share with his parents. It’s super easy and my kids all love this! It also increases their awareness of different uses of technology, which their teachers will love. 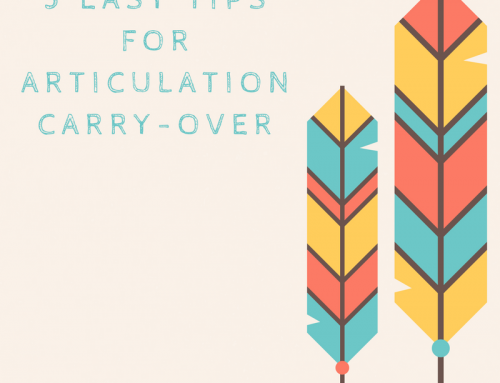 Here are some ideas of how you can create PowerPoint activities for a few different speech and language areas. If you have a child who is learning to produce a new sound, you can use a PowerPoint activity to increase their awareness and understanding of how and why to use the sound. I like to start off with a few slides that will ask for general information about the child. For these I would just write a prompt in the header of the slide, like “Things I am good at” or “Things I like to do”. Then, I would leave the rest of the slide blank. When I go through the presentation with the child, I would simply read her the prompt and then write any of her responses just as she says them. For example, one of my slides says “things that are difficult for me”. When I gave this prompt to one of my children he thought for a while and then very seriously told me that reaching things up high was very difficult for him. I wrote it exactly as he said it and his Mom thought it was very cute later! Once you get through the general information, start asking some more specific questions like “what is hard about speech” and “what do I need to work on”. Let your child come up with some good ideas of things that are hard for her and then guide her toward talking about how difficult a particular sound is that you are working on. Next, have some slides about why it is important to learn how to say this sound correctly. You can let your child come up with some answers and then give some suggestions like “wouldn’t it make it easier for other people to understand you if you say all of your sounds?” . Once you’ve established the importance of working on the sound, talk about how to do that. Have slides that describe how the sound is made in the mouth and what strategies or cues help your child make that sound (such as having an adult remind them, seeing a picture of the sounds, or anything else that you have noticed works for your child). In the final slides, come up with a plan of how you and your child will work toward saying that sound every day. Ask your child what she would recommend first so she has some input into the process. Then, you can come up with some suggestions like sitting down together and practicing the sound every day for 5 minutes or practicing the sound while reading books at night. Make a plan with your child and write it down in the presentation. After a while, you may want to go back and change your plan so that it reflects what your child needs to do next. After you get it finished, print it off and let your child show it to other important people in her life. You will be surprised how much ownership she takes in working on her sound! One major component of therapy for children who stutter is examining the beliefs and attitudes that your child has about stuttering. This is something we typically do with children who are older (5-6 years and up). Talking about stuttering can be uncomfortable for many children but it is essential to help them understand what’s happening to them and to desensitize them to it so they don’t have as much anxiety about stuttering. The anxiety only makes the stuttering worse. You can create a PowerPoint story all about your child’s stuttering to help him examine his stuttering as well as his beliefs and attitudes about it. During this process, you may find some beliefs that your child has that you can talk about and help your child through. For example, if your child says “I stutter because I’m stupid”, you should acknowledge that they feel that way but then you will know that you should spend some time teaching your child about why people stutter and how it doesn’t mean they’re stupid. Here’s how I plan out my PowerPoint activity. First, have some slides that talk about the child in general. Do this in the same way as the previous example where you ask about the child’s strengths and interests. Next, move onto asking your child about how he feels about talking. Ask specifically about the emotions he feels toward talking. Then, you can ask about how the child feels about his stuttering. 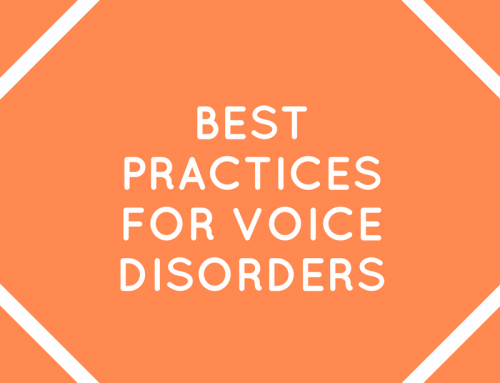 Have slides with prompts like “why I stutter”, “when my stuttering is better or worse”, and “things I do to avoid or fix stuttering”. Finish with a slide about “my goals for myself”. Ask your child what kinds of things he wants to learn or accomplish in the next year or so. You can prompt him to come up with goals about things other than speaking, but make sure you get one in there about your child’s stuttering. Knowing what he wants will help you guide how you teach him about stuttering. If he says “I want to never stutter again”, you may want to go back and teach him about stuttering and how for many people it’s not something that ever goes away, it’s something that you learn how to manage. While you’re going through the presentation with your child, make sure you acknowledge each thing that he says about stuttering and do not judge him for his thoughts or beliefs. Don’t say “Oh that’s wrong” or “that’s a stupid thing to think” because those are his beliefs and he needs to know that you accept what he thinks. Just write down everything he says, don’t make any judgments or try to fix any false beliefs at this time. Try to make comments that express that you understand why he might think that, such as “I can see how you would feel that way” or “that must be really hard”. After you finish the presentation, look back through it by yourself and pick out a few false beliefs or detrimental attitudes to talk about with your child. 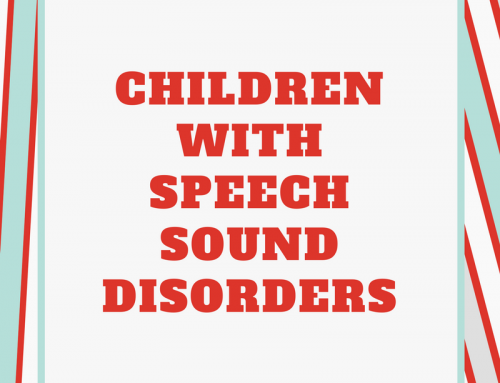 You can find information to help you teach your child about stuttering on resources such as the National Stuttering Association and The Stuttering Foundation. You can even do this research with your child. You can start by saying “I remember you saying that you feel like you stutter because you are stupid. Let’s go online and see if we can find some more information about why people stutter”. Then, you can do some exploration and research together. 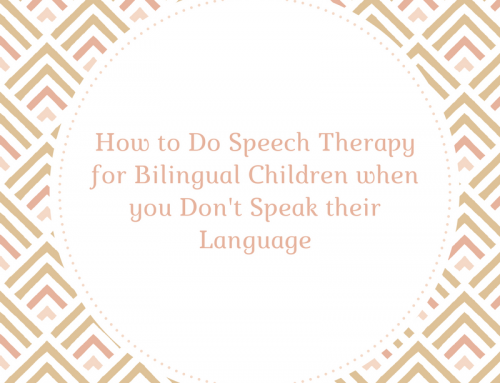 I hope this gives you some ideas about how to make PowerPoint speech therapy activities your child will love. Feel free to reply with other ideas you have for creating books and activities using PowerPoint. Also, don’t forget to head over to my store and check out my printable speech and language materials and activities!